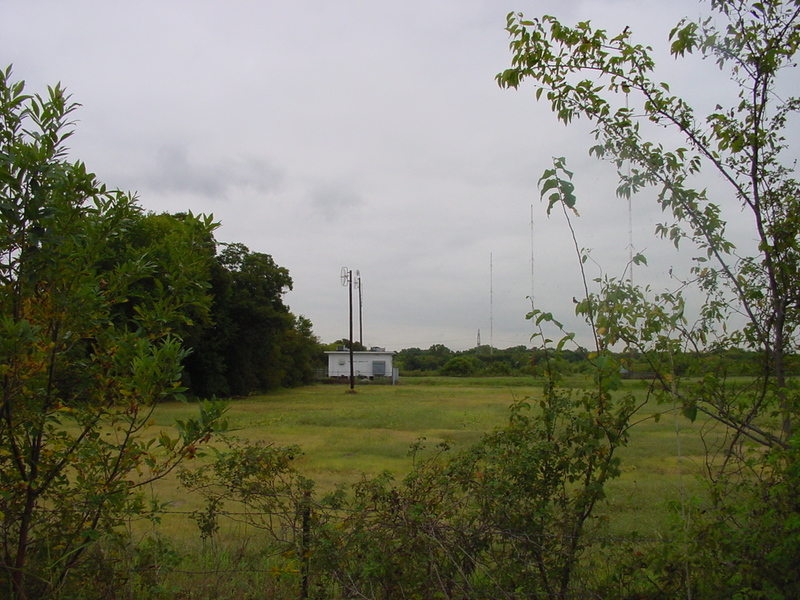 This is the KFXR transmitter building, next to a landfill on Hunter Ferrell Rd. in Irving, seen next to three of the four towers. The night site is located in Rockwall, on the other side of Dallas, and we'll get to that one later.